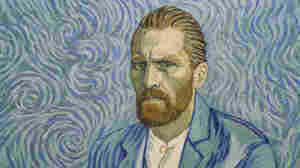 September 26, 2017  Loving Vincent is a murder mystery animated a unique way — with 65,000 oil paintings in the` style of Vincent Van Gogh. September 22, 2017  Battle of the Sexes tells the story of the 1973 tennis match between Bobby Riggs and Billie Jean King. The event drew an enormous audience and NPR's Bob Mondello says the movie could too. September 22, 2017  As summer gives way to fall, blockbusters give way to award contenders. Here are some of the best, buzziest and otherwise noteworthy films coming to theaters. September 14, 2017  The Toronto International Film Festival wraps up this week and NPR's critics have seen dozens of movies. They provide a sneak peek at films getting early buzz for Oscars, some hidden gems and others to avoid. September 5, 2017  NPR movie critic Bob Mondello provides a selective preview of what Hollywood has in store for moviegoers this fall. Alex Bailey /The Weinstein Co.
September 1, 2017  Based on Deborah Moggach's best-selling 1999 novel, this slightly overstuffed period romance features a clever screenplay by Moggach and playwright Tom Stoppard. August 25, 2017  NPR movie critic Bob Mondello reviews Beach Rats, which follows a teenager in Brooklyn who is having a lousy summer. 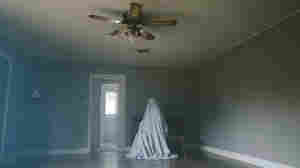 The film won the best directing prize at Sundance earlier this year. August 10, 2017  In this third film based on their food-tasting show, Steve Coogan and Rob Brydon worry (in the voice of John Hurt) that they'll soon feel as ancient as the dinosaur tracks they find on their travels. August 3, 2017  The police procedural/Western centers on the death of a Native American teenage girl. Critic Bob Mondello says the film paints a searing portrait of life on society's margins. 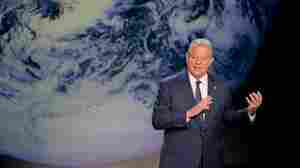 July 27, 2017  In 2006, Al Gore issued a forceful warning about the threat of climate change in An Inconvenient Truth. He's followed it up with a sequel that shows how far we've come — but with plenty of caveats. July 21, 2017  NPR movie critic Bob Mondello reviews director Christopher Nolan's new World War II film, Dunkirk, which opens this weekend. July 18, 2017  Before digital projectors in movie theaters, projectionists had to quickly move from one film reel to the next. NPR takes a look at what's changed since the days of film as part of our series, "Backstage Pass." July 14, 2017  It's not Shakespearean but the no-nonsense leading lady of the new movie Lady Macbeth lives up to her name. July 7, 2017  A new film starring Casey Affleck and Rooney Mara is provocative — if you've got the patience. July 6, 2017  NPR movie critic Bob Mondello reviews Spider-Man: Homecoming, starring Tom Holland as the youngest actor to play the screen's youngest superhero.